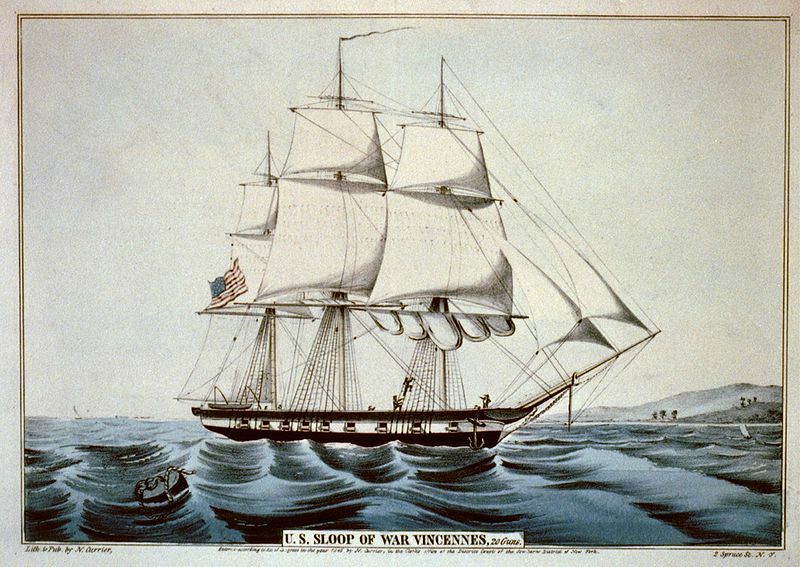 Type and Characteristics - Sailing sloop, Boston-class, one of 10 authorized by Congress 3 March 1825, built in New York, laid down 1825, launched 27 April 1826, commissioned 27 August 1826, 700 long tons, 127ft long x 33ft 9in x 16ft 6in draft, 18kts, armed with 18 guns, 80 crew, first commanded by Master Commandant William B Finch. 21 March 1853 - Recommissioned. 13 May 1853 - Entered Norfolk, VA to serve as the flagship of Commander Cadwalader Ringgold's squadron during a survey of the China Seas, North Pacific, and Bering Strait. 11 June 1853 - Squadron departed Norfolk. March 1854 - Arrived China after sailing via Cape of Good Hope. Here, Commodore Perry relieved Ringgold of the Squadron's command and replaced him with Lt. John Rodgers. February 1855 - Returned to Hong Kong after surveying Bonin and Ladrone Islands. 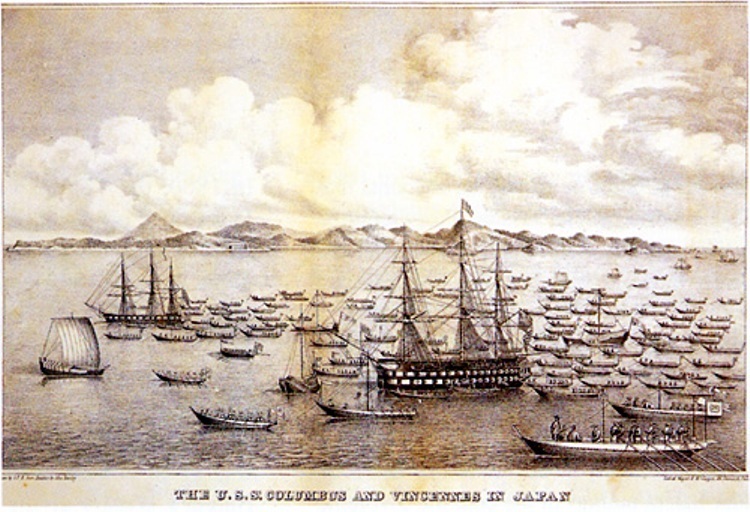 March 1855 - Sailed to survey islands between the Ryukyu chain and Japan, and then the Kuriles. Left the squadron at Petropavlovsk, Russia, and sailed through the Bering Strait, heading northwest towards Wrangel Island until stopped by the ice. Early October 1855 - Reached San Francisco. 13 July 1856 - Reached New York after sailing round Cape Horn, completing a circumnavigation of the globe. 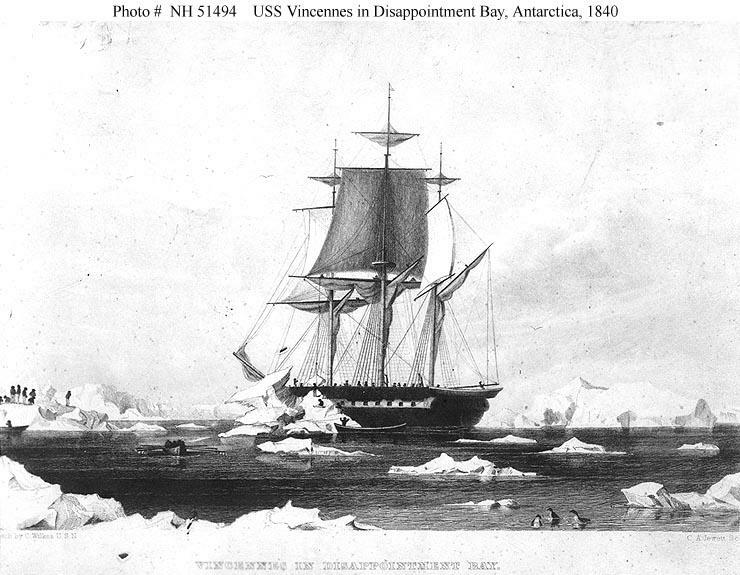 17 July 1856 - Decommissioned. Fate - Laid up at Boston Navy Yard on 28 August 1865, sold by auction in 1867.